It is not so rare to see multi-talented people in the cyber-space and entertainment world today. With many actors and actresses, you need not to be actually told that the Nollywood Industry will be by far bigger than what it is today, but this cannot be possible except by the help of people. The entertainment industry needs everyone to survive- producers, directors, bloggers, artists, dancers and most of all, actors. One of these actors we are about to talk about is well known, and her stage name is Tana Adelana. She is a multi-talented human, an actress, a movie producer, a TV presenter and most of all, an entrepreneur. 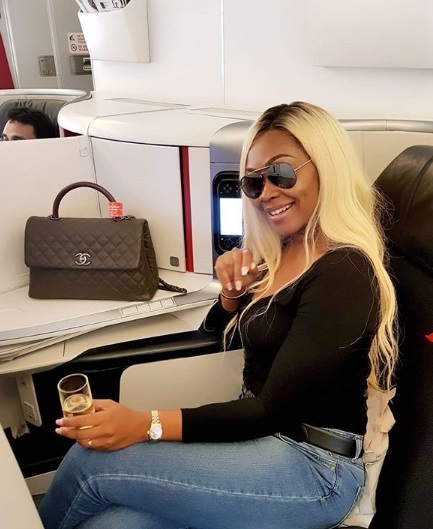 Christiana Nkem Adelana, better known by her stage name, Tana Adelana is a Nigerian actress, a TV presenter, a movie producer and an entrepreneur. Born 1984, Tana Adelana's state of origin is...can you guess? Adelana is a Yoruba name and Nkem is Ibo, so which tribe is Tana Adelana actually from? We will see that below. Tana had her primary education in the Treasure Land Nursery and Primary School, which is in Surulere, Lagos and then proceeded to St. Catholic Secondary School, Idimu where she had her secondary school and the later half of her primary education. She later proceeded to the University of Lagos, where she got a degree in Urban and Regional Planning. Tana Adelana is from a royal family and not really much is known about her by the public and social media space aside these. We will update the Tana Adelana profile as we do more findings. Tana Adelana is married to Femi Adelana with kids, and recently had a baby from some online sources. She is a mother of two lovely kids now and you would really love to see their photos. Tana Adelana is a famous actor, and from our estimates, she will be worth close to $100,000. She also comes from a royal family and is married to a well to do man. Aside being an actor, she is a movie producer and a TV host. You have known more about your favorite Tana right? Why not share to let your friends know to? Please email any corrections to this biography to contact@infoguideafrica.com.